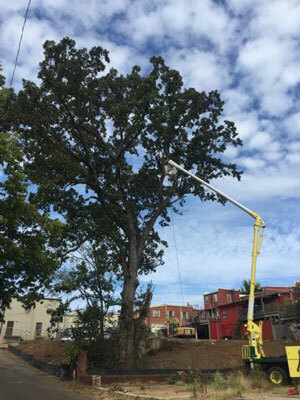 With years of professional experience and a penchant for providing service with a smile, Dewees Tree Service, LLC is your complete resource for tree care. Contact us for trimming and pruning, as well as tree removal and stump grinding. We’re ready to provide you with a free, no-hassle quote on tree services today! Trees can grow big and strong without much intervention, but unfortunately, it’s this tendency to keep growing that can cause them to become a burden to themselves and others. Occasionally, they need to be trimmed, topped, pruned or simply removed for the betterment of all. When that time comes, local area residents call on Dewees Tree Service, LLC. We’re the leading tree service in Oxford, MS providing customers and their trees with thorough and attentive service. Whether we’re just clipping a few branches or we’re uprooting a massive stump, trust our team to provide a job well done—one that benefits you and your tree equally. Customers call us for pruning and trimming because we have an engrained familiarity with the local area trees. We know exactly how to trim and cut them for maximum effectiveness, without hurting or stunting them. When a tree needs to be removed, we’re also the number one call. We can remove a tree thoroughly and without damage to the property around it. For stump removal in Oxford, MS, we use specialized tools and techniques to leave no trace behind. We can truly make trees disappear! 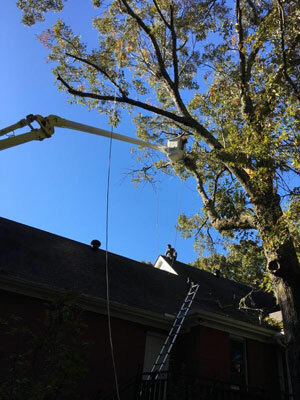 If it’s just time for a healthy trim or you’ve got a dangerous tree that needs to come down, the call is one in the same: Dewees Tree Service, LLC. Because we’re native to the area, we’re familiar with all types of local trees and the care they need to thrive. We have specialized equipment for removing stumps that doesn’t leave an impact behind like other equipment can. We’re proud to have served the greater Oxford area for over 13 years! Our team prides itself on a strong work ethic and strong community ties. We’re pleased to offer free estimates on all of the tree care services we provide. Need your tree pruned and trimmed? How about topped? Need a stump removed? Whatever your trees demand, our experienced team is ready to provide it. Contact us today for tree service.